Family law issues are some of the most emotional and difficult matters people experience in their lives. At Cameron Sutherland, we put the focus on the client and not on our billable hours. We want the best resolution for you and your children, not our accounts receivable. We have a wide range of services available to family law clients. We can attempt to help you reach an out-of-court settlement with another party, or see your case through until the gavel is lowered. We offer flexible and affordable service and payment plans, and accept all major credit cards. Obtaining a divorce is a major life event. The results of which are felt for the rest of a person’s life. Generally, there are four major areas of concern in a divorce: (1) the residential schedule of the children, (2) debt and asset distribution of the parties, (3) child support, and (4) spousal maintenance. At Cameron Sutherland, our initial strategy is to attempt to have the parties work collaboratively toward finding a joint resolution. We realize, however, this is not always feasible. We also recognize the financial strains that a divorce causes many clients. We offer flexible plans of service, ranging from limited scope representation agreements (where we can assist and guide you through legal document preparation), to full scope representation. Call today for more information. A legal separation is not a necessary step in obtaining a divorce, and a legal separation, and unlike a divorce, it does not mean the end of your marriage. However, generally, the same major issues are addressed (child custody, asset/debt division, visitation, and maintenance). Spouses choose to legally separate instead of divorcing for many reasons, e.g. because they do not want to divorce, they want to maintain one spouse’s health benefits, or for religious reasons. Under a separation agreement a court defines your interests, rights, and responsibilities until you reconcile, file for divorce, or one of the parties passes. Frequently a divorce is sought by the parties, after they have been separated for a time. It is important to know that a judge may decide that since you entered into an arrangement under a separation agreement, that same arrangement should apply for the order of divorce. Therefore, consulting with an attorney when contemplating legal separation is strongly advised. 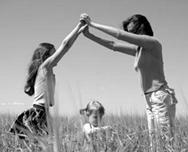 In Washington, child custody and parental visitation are determined by a parenting plan. At Cameron Sutherland, we can assist you in creating and or defending a plan. Washington’s approach to placement is unique, in that the parenting plan provides a long-term schedule for times each child is with a parent. The parenting plan addresses several issues, including those that arise from a parental relocation. However, it is rarity for plans to envision all changes that may occur in families’ lives. Additionally, major modifications of parenting plans require a party to meet a high burden of proof. Therefore, the advice of an attorney should be sought when establishing a parenting plan (so that potential conflicts and issues can be limited through careful drafting the first time around), and when seeking to modify an existing parenting plan. In Washington, the determination of child support starts with a statutory schedule, which bases the amount of support on the number and age of the children. Whether you are going through a divorce or legal separation, paternity action, or modification of a child support order, the amount you pay or receive in support is guided first by this schedule. There are reasons to deviate from the standard child support schedule, and these reasons should be explored with an attorney. The amount of child support is directly related to the percentage of total income of the children’s parents. While both parents are expected to contribute financially to support their children, only one parent will actually be required to make a payment on a monthly basis. Most often that parent is one whom the children do not reside with a majority of the time. Child support can be modified in Washington periodically. Therefore, if you or your ex-spouse/partner, have gone through financial changes, or your children’s needs have changed, your payments/support can change drastically. Contact us today if this is your situation. Maintenance is generally an issue whenever there is a significant difference in personal income between two spouses/partners. It is intended to provide the lower-income spouse with money for living expenses. Courts make determinations regarding spousal support based on several factors such as the standard of living during the marriage,the length of the marriage, and the health, age, and earning capacity of the parties involved. The existence, amount and duration of monthly support payments will be defined either by the court in a contested setting or by the parties in the form of a settlement agreement. The spouse that receives support will pay federal and state income taxes on it, and the spouse making support payments will be entitled to a tax deduction. There are several arguments that can be advanced in support or defense of spousal support. Call today to set up a case evaluation. We handle several other areas of family law, from domestic partnerships and adoptions, to third party visitation and relocation of parents. Please contact us for more details. If a person dies without a Will, Washington statutory laws determine how the deceased’s assets will be distributed. At Cameron Sutherland we have experience drafting Wills custom tailored to your wishes and intentions. Upon your death, your will be admitted to probate, and your assets will be distributed by your Personal Representative as you have indicated. We offer conscientious and affordable services plans, so call today for information. An individual’s Last Will and Testament is just one of several estate planning documents an individual should complete while living and preparing for their death. For example, Powers of Attorney are legal documents ceding another individual the powers to do certain things on your behalf. A power of attorney can address numerous aspects of your life including your future health care wishes, and management of your financial assets. An advanced health care directive enumerates the type of medical and personal care you would prefer in the event you lose the ability to make and communicate your own decisions. This directive, for example, can set forth whether or not you would desire to have your life prolonged artificially if you are diagnosed with a terminal condition or are in coma. Any individual of sound mind, over the age of 18 can complete these estate planning documents. Call us today for consultation on planning for your future.